When FIRE visited Scotland in 2014 the change to a single Scottish Fire and Rescue Service had just taken place and whilst there had been considerable upheaval, there was a real air of optimism coming from the senior management team. 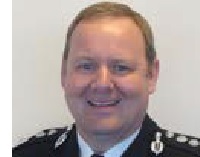 Two years later, that confidence does not appear to have been misplaced, as Chief Fire Officer Alasdair Hay highlighted a number of benefits realised since its formation. His opening remarks to FIRE, that the Scottish Fire and Rescue Service will have reduced the cost base of the service by £76 million in 2016-2017 was just one aspect. In addition, a passion for improving public service and reducing risk in the communities was a tangible positive change that, he insisted, would have been difficult to achieve in the previous incarnation of eight separate organisational infrastructures. The ambition remains to develop a service that is truly world class, as CFO Hay told FIRE when asked about the drivers for change. AH: What really drives success is meeting the expectations of people across Scotland. They absolutely expect and deserve a world class fire and rescue service. We have continued to see a long term decline in fire deaths in Scotland but we’re not complacent in any way, shape or form. Every single fire death is a tragedy. Other challenges emerge such as changing weather patterns, the threat of terrorism and other risks that emerge. We’ve got our objectives to meet and we need to ask, what is the changing nature of risk within Scotland and what are the expectations of our communities? They expect us to be a world class fire and rescue service but like all parts of the public service, they also expect us to add value in different ways. We have an incredible brand, we are respected. How do we use that for things like developing citizenship? How do we use that to engage with and help parts of the community that feel like they are disengaged? There are so many ways that we can add value and that really is what drives the service. FIRE: Like all fire and rescue services you are facing considerable budgetary restraints. When does it become too difficult to continue? AH: I think if you were to speak to any chief fire officer, year-on-year as cost pressures increase and our budgets are either standing still or reducing, so the pressures increase. What we have to do is find new and innovative ways in which to deliver our services but at the same time the fire service does form an extremely strong case to be properly funded. So far within Scotland, yes we’ve had financial challenges but I have to give credit to the Scottish Government because last year they gave a flat cash budget because we were on track to deliver the intended benefits of reform. FIRE: A key consideration you mentioned in our focus from 2014 was the change required in culture and thinking as a collective for public good. Is that happening? AH: That’s happening at pace within Scotland. Clearly, we’re all proud to work for the Fire Service but actually we work for the public through the Fire Service which is part of a greater public service and we’re all focused collectively on delivering better outcomes for communities’ right across Scotland. That said, we recognise that the eight previous services did have their own culture and we have drawn on the strengths of our past to establish a culture and values with which our people can identify. The part the Fire Service and individual firefighters play in that is different in different parts of Scotland depending on the needs of local communities. That is going to be strengthened further as we go forward with the Empowerment Act which strengthens community planning in Scotland and within each local authority area. They’re going to be producing local outcome improvement plans. The outcome they’re seeking to improve will depend on local communities and as a partner in that, how we use the resources – physical, financial or importantly people – will be different in different parts of Scotland. That has been changing and it will continue to change. FIRE: Can you give us an example of a partnership initiative that would involve? AH: One of the strongest examples is the partnership within the Scottish Fire and Rescue Service which was originally initiated by Strathclyde FRS with Glasgow City Council and Glasgow Housing Association. Glasgow Housing Association has one of the largest stocks of social housing in the UK, indeed within Europe. Working closely in partnership with the local authority, working in partnership with the housing association, working in partnership with the police and a number of others, we have seen a remarkable reduction in the number of fire incidents occurring within that housing stock. We went for a period of over four years where there wasn’t a fire death with properties there and Glasgow Housing Association were saving over £20 million per year. There are real benefits in terms of safety but also in terms of financial savings – that demonstrates the tangible benefits that the fire and rescue service can deliver for all the partners who can reinvest those resources in other outcomes. FIRE: Would you recommend to colleagues south of the border to take a broader collaborative approach? AH: I think it’s universally accepted that closer integration and collaboration is the way forward. In our experience, it’s been a huge success. South of the border the environment is different, the scale is different, but if there’s any things that our colleagues can learn from our experience, we’d be more than happy to share them. AH: On a personal level it’s been a huge personal privilege to have been given the opportunity to be the first Chief of Scotland and to lead the UK’s largest fire and rescue service. It’s been the biggest professional challenge I have ever faced. It may be one of the biggest professional challenges a Chief Officer has ever faced. It has been an incredible journey and I wouldn’t have missed it for the world. This is an abridged version of the original interview. The full interview can be read in the latest issue of Fire magazine.